Indeed, time is money and this has become more applicable to present day scenario than ever before. You have read or listened about multiple apps that help you be more productive and stay organized however you would be wasting your precious time while commuting between home and office. Irrespective of what mode of conveyance you use to commute we have piled up a list of five apps that will help you trim down your route and save those crucial minutes. The app helps you get up-to-date and real-time traffic information that includes information regarding average speed and even the incidents or roadwork if they going on anywhere on your route. In fact, this app. 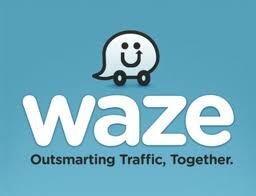 is so fast in updating that so many TV and radio stations use its technology to control their traffic reports. If you use iOS, Android or Blackberry you can avail this app for free or else you can opt for the paid versions. Bikers need relatively more information than a typical driving app provides. There are so many thing that you might need to know such as road is smooth or not, how many cars use a specific road at any given time and so on. ‘Bike maps’ provides you with all such information. The best part is you can download this app to your phone for quick access even if you don’t have a Wi-Fi and approach them to calculate distance, time or condition of a new route. This is an app that uses data from your previous commute and makes predictions for future. It will tell about the average commuting time for everyday and will also inform you about by what time you should leave your house and so on. The only issue with the app is that it gets smarter with frequent use so you cannot expect perfection in the first few tries. Te more data it gets, the more perfectly it will make predictions. 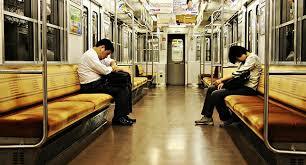 Nothing could be better while you are commuting if you can get real-time tips from other commuters in your area. You get instantaneous user-generated feedback through this app to become alert to traffic jams, police cars, accidents and other real-time information that will help you commute seamless and stress-free. Moreover, you also get update about the gas prices at various gas stations. 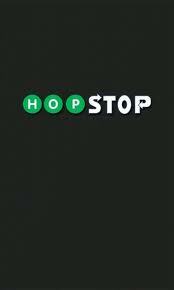 HopStop is boon for those who by mistake have boarded the wrong train and have doubled the span of their commute. The app working in more than 600 cities worldwide, offers biking direction, door-to-door transit directions, estimated costs and travel times, bus/train/subway schedule information and real-time delay or traffic information. However, it is only available for iOS as was removed from other platforms by Apple when Apple acquired this app earlier this year. So, utilize these apps as per your requirement and save time, save money.